Many people have still not heard about grilling on cedar planks and if you are one of those, you have no idea what you have been missing! Grilling with cedar planks is easy and fun, and the food is delicious. Anyone who believes they are a grill master needs to try cooking with cedar planks. If you have ever tried to grill a piece of fish, you know how hard it can be. The fish falls apart or sticks to your grill or the foil. Using a cedar plank eliminates these problems. Your fish will be tender and delicious and you can serve your fish right on the plank. Note of caution: If you choose to do this, remember how hot the plank is and be careful, especially around children. 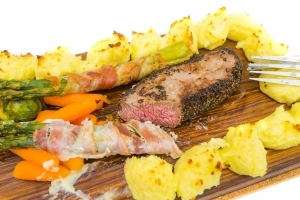 Cooking with cedar planks takes a little preparation, but the results are well worth it. Your cedar planks will have to soak in water overnight, or at least several hours, before you can use them. This prevents the planks from catching on fire in the grill. As you become more comfortable with using the planks, you can experiment with different liquids to give your fish even more flavor. Add a little apple juice or wine to the water your cedar planks are soaking in to add a slightly different flavor to your fish. After your cedar planks have been soaked, lay your fish on the plank and season as you wish. 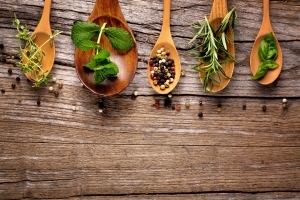 Mix and match your favorite herbs to create new flavors. Try using sage, mint, basil, or thyme. 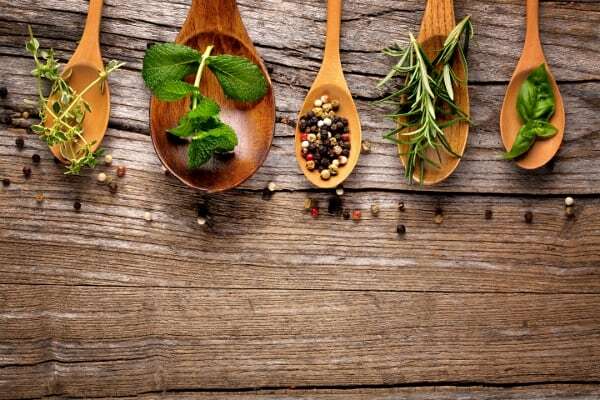 Part of becoming a grill master is learning what herbs flavor your meat in new and delicious ways and which you enjoy the taste of and which you don’t. As you are preparing your fish, be sure that your grill is preheating. Preheating is very important when cooking with cedar planks. Let your grill heat up for about 10 minutes before adding your cedar plank. Once your fish is on the grill, close the lid and resist the urge to keep checking on your dinner. Opening the grill causes heat loss, so you should plan on checking your meat every 5-6 minutes. Keep a spray bottle of water handy in case you have flare-ups. Not only can you grill amazing fish on your cedar planks, you can also use your planks to create other amazing dishes. Add vegetables to your fish and grill your entire meal at once. Citrus fruits add an especially delicious flavor to fish. You can even prepare pizza on a cedar plank. Whip up your favorite crust mix, place on your cedar plank and cook for a few minutes. Add your favorite toppings and close the lid. In just a few minutes, you will have pizza like you have never tasted before. Desserts can even be prepared using your cedar planks. Your options are almost limitless. Every grill master needs to cook with cedar planks at least once. Experimenting with different foods and flavorings is fun and you will never know what delicious recipe you will discover. Soon, your friends and family will be begging to know your secret!